Loveless is the fifth and latest offering from the acclaimed Russian filmmaker, Andrey Zvyagintsev, whose previous works include instant classics like The Return (2003) – winner of the Golden Lion at Venice, The Banishment (2007) – winner of the Best Actor award at Cannes, Elena (2011) – winner of Un Certain Regard section Jury prize at Cannes, and Leviathan (2014) – winner of the Best Screenplay award at Cannes. Loveless, which recently premiered at the 48th Indian International Film Festival (IFFI), Goa, is the winner of Jury Prize at the 2017 Cannes Film Festival. 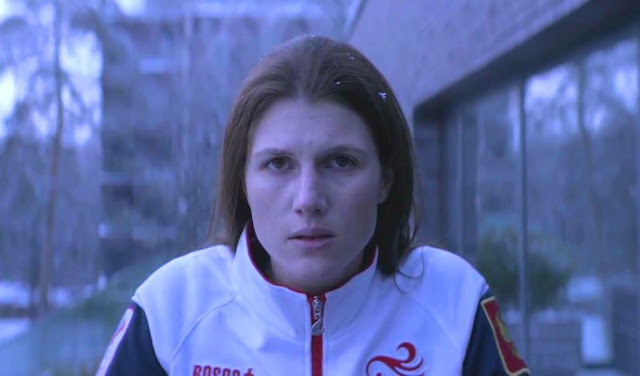 Based on a screenplay by Oleg Negin, Loveless stars Maryana Spivak and Aleksey Rozin in the lead roles. The film costars Matvey Novikov, Marina Vasilyeva, and Andris Keišs. Loveless has been made with the help of private funding from Russia and abroad with no financial support from the Russian government, which had disapproved Zvyagintsev’s previous film Leviathan that deals with the issue of corruption in the country. Although, Lovelessis more about personal relationships than politics, it does touch upon the modern-day police’s indifference towards the very people they are supposed to guard and protect. Whenever one talks of disintegration of marriage, the first work that comes to mind is Swedish master filmmaker Ingmar Bergman’s 1973 miniseries, Scenes from a Marriage. In fact, when Zvyagintsev set out to make Loveless, he was so greatly influenced by Bergman’s seminal work that initially he thought of remaking it. Fortunately for Zvyagintsev, Loveless is far from being a remake. In fact, it shares more in common with his own films than with the works of Bergman. Loveless revolves around a middle-class Moscow-based couple, Zhenya and Boris, who are about to get divorced. They are desperately trying to sell off their house so that they can move on with their lives. They have a 12-year-old son named Alexey, who is devastated by the incessant quarrels between his parents. When one day Alexey mysteriously disappears, the couple is forced to team up to find their missing son. But, make no mistake! Loveless has little to do with the mystery of the lost child. It is ultimately a film about the general lack of affection and care for the loved ones in today’s age. Loveless also offers a strong critique of the fragility of modern relationships that are based on convenience rather than love, trust, and respect. Loveless is also a reminder of the changing times and the subversion of the old patriarchal notions which expect the women to make endless compromises in a bid to save their marriage. Today’s modern, independent women are free to make their own decisions, just like men. And, so, the only way to hold a marriage together is through mutual efforts. Zvyagintsev is an absolute master when it comes to exposing the human flaws. The Banishment is about a man, who forces his wife to undergo abortion on learning that she is carrying another man’s child. In Elena, a woman poisons her husband in order to provide financial help to her son from a previous marriage. In Loveless, Zhenya comes across as a woman who seems quite content with pleasing herself. She says, “I have never loved anyone”. Of course, loving and being loved are two sides of the same coin. So, it’s obvious that by choosing not to love she in turn deprives herself of love. She only chooses to marry Boris as a means to escape from her mother’s house. But, Boris soon gets her pregnant and the responsibilities of marriage and child become a bit too overwhelming to bear. But all that is about to end; she has finally found herself a man, who really cares for her. Now, her only trouble is Alexey, who reminds her of Boris whom she detests. “He has even started smelling like him,” she tells a beautician. When Boris doesn’t appear too keen on keeping Alexey, she suggests that the kid should be sent to an orphanage. Boris, who is living with another woman already pregnant with his child, is worried that his boss may come to know about all this. For, his boss is a fundamentalist Christian and if he comes to know about the separation then Boris may end up losing his job. Clearly, both Boris and Zhenya have more important things on their minds than the well being of their child and Zvyagintsev succeeds in bringing out their indifference with naked brutality. Overall, Loveless presents a scathing examination of modern relationships. The film is brilliantly shot by Zvyagintsev’s long-time collaborator Mikhail Krichman. Loveless mourns the general lack of love and compassion in the hearts of human beings, inhabiting a world that’s driven by materialism. Loveless also offers a critique of the police administration that seems incapable of performing its duties in an efficient and timely manner. The movie has a rather pensive and melancholic tone that’s further intensified by the background score and the incessant snowfall towards the end of the film. Religion and politics are central to the work of Zvyagintsev, who is often described as a successor to the great Andrei Tarkovsky, but, in Loveless, both religion and politics take the backseat. As a result, Loveless pales in comparison to Zvyagintsev’s earlier works. The strongest point of the film is undoubtedly the chilling performance of Maryana Spivak that reaches its pinnacle during the climactic treadmill sequence that ends with Spivak making an unexpected direct address to the audience. Perhaps, the only scene that tops this is the one in which a terrified looking Alexey is seen hiding behind a door, tormented by the constant quarreling between his parents. Not to mention, the movie’s final scene that will continue to haunt the viewer, long after the end credits stop rolling. While it’s true that Loveless lacks the scope and power of Zvyagintsev’s previous works, it still serves as a worthy addition to his rich body of work. A version of this review was first published in Cafe Dissensus.